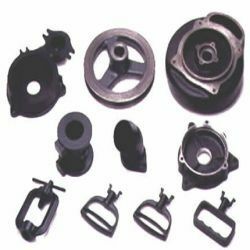 We are instrumental in offering optimum quality Ferrous Forging to our valuable customers. For the purpose of manufacturing the offered forgings in conformity with the international quality standards, latest and ultra-modern machinery is used. Their resistance to corrosion, impeccable finish, high tensile strength and durability, make these forgings highly demanded. Looking for Ferrous Forging ?